PRACTICE MAKES PERFECT. The only reason I wasn’t fazed by the open beta for Overwatch, Activision Blizzard’s new multiplayer FPS that the shares the, uh, diverse cast of Team Fortress 2 and the charm to rival Walt Disney himself, was from years of playing shooters like it, mostly Halo 3. I’d assumed that it was going to be as tough to get into as a new player as Blizzard’s other team-based actioner Heroes of the Storm, or their card game Hearthstone. Those styles of game were never my thing. Any barrier to entry has been all but shattered by Overwatch. The tutorial, putting you in the combat boots of grizzled Soldier-76 (Yes that’s actually his character name) is a canny introduction because he most resembles other game protagonists; hold down L1 to sprint, hold down R2 to fire your generic assault rifle. Where the Halo series, like the Call of Duty franchise that finds itself catching up in the space race with Infinite Warfare, has found itself diversifying and re-simplifying its formula over recent years, struggling to find balance in multiplayer arenas where players test unfamiliar new abilities, the sheer variety of gameplay style in Overwatch sets it apart. While Soldier-76 is simplistic, his versatility in the full game – against AI, or against other players – is not to be discounted. The same is true for every other character, out of the 21 heroes available; the 21 are split into the four classes of Offense, Defense, Tank and Support, with an incredible variety of abilities on offer for each one. The roles are again narrowed down in order of difficulty; support hero Mercy, with her health staff and angel wingsuit that lets her fly towards allies, is listed as an easier play than Lúcio, whose passive health and speed buffs are harder to know when to activate than Mercy’s constant healing stream. Bastion is a Defense hero who can deploy themselves as a turret, providing a devastating amount of damage, whereas Hanzo uses a bow equipped with close range and tracking arrows that require a more distanced, patient approach. Everyone will have their favourites – Lúcio, Tracer, Hanzo and D.Va are mine in each category so far – and no matter what skill level, there will be a place for players in Overwatch who learn to utilise their abilities as part of a six-player team. Each character’s Ultimate ability, their strongest weapon in the game, charges over time. 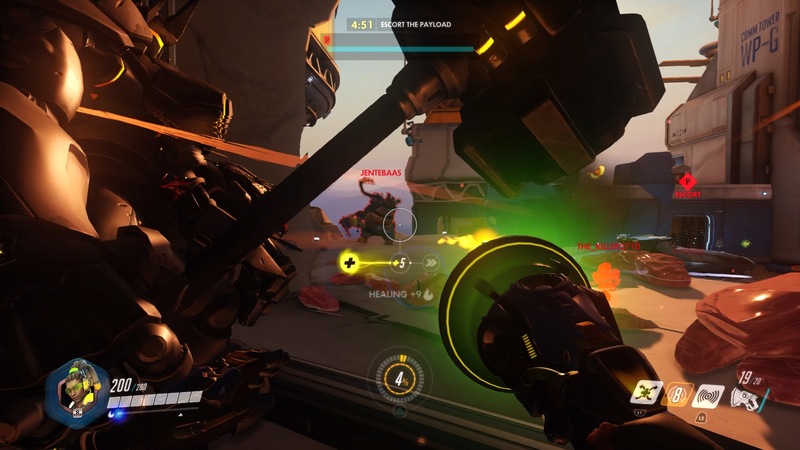 Overwatch’s use of sound, explored in depth by Eurogamer, is immensely satisfying, and at times terrifying. 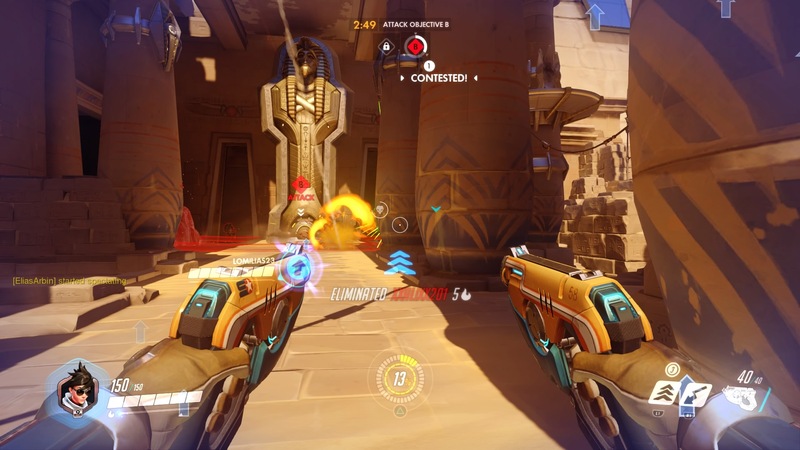 The dialogue heard when your teammates activate their abilities and when the enemy does is different; it’s subtle, but it means you have a better chance of escaping the horror, especially with Old West-style McCree’s High Noon, which is an instant kill if he can see you when it’s active. Other Ultimates, like Mercy’s “Heroes Never Die!” resurrection or Mad Max-esque Junkrat’s RIP-Tire, which barrels down the map and explodes in your face, can change the game in your team’s favour in an instant, and it’s this flow that makes Overwatch so enjoyable to play, enticing you into getting 100% to unleash the same death and destruction which sent you back to base 30 seconds ago. The allusion to TF2’s diversity earlier is worth mentioning; there are all manner of shapes and sizes of characters on offer here, be they man, woman, machine, or somewhere in the middle. With characters hailing from Egypt, India, Brazil, Austria, Britain and more, Tank D.Va is a professional Korean Starcraft player-turned mech pilot who signs off with lines like “Nerf this!” and “No hacking required!”; can we see Blizzard’s representation of their own gaming culture in the form of a young woman as a purposeful step forward, especially with women’s position in esports the way it is? Maybe it’s wishful thinking, but it sure would be nice. The cast is reinforced by an interesting backstory that weaves them all together. Overwatch’s plot is unique because it has one, and it doesn’t. When the first trailer debuted in 2014, it hinted at a global crisis for which the Overwatch organisation was founded, and subsequently disbanded. “The world needs more heroes,” was cover star Tracer’s line two years ago – seventeen more, to be exact. Since then, Blizzard has slowly revealed more about the world of Overwatch, through stunningly animated short films like “Alive” that delves into the past of sniper Widowmaker and the aforementioned global Omnic crisis, and “Dragons” which details the rivalry of brothers Hanzo and Genji, all playable heroes in the game. 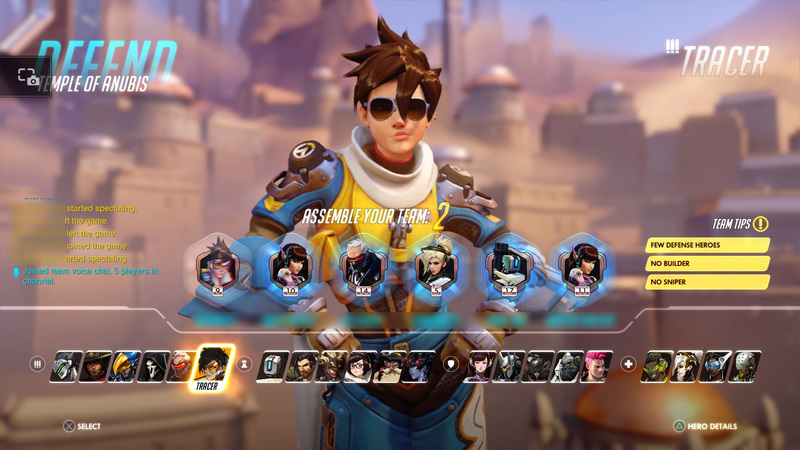 Unlike Titanfall, a multiplayer shooter where the plot is interwoven with multiplayer matches, each objective-based game in Overwatch stands on its own. Instead, small details about the world and its characters are given away through character lines, details on certain maps, a series of comics published on the game’s website, and in the smallest places in the animated shorts, like on newsreels. Post-match stats and the Play Of The Game, made infamous during the beta for Blizzard’s AI always tending to pick superpowered sentry robot Bastion, are motivation enough to keep playing, and to improve your game. That, and the loot system, for there must always be a loot system. With Overwatch, Blizzard are making a bid to be the late-night staple of even more players around the world, adding it to their arsenal along with Hearthstone, Heroes of the Storm, and the ever-present World of Warcraft. Their first new IP for almost 20 years earns its keep, staying engaging with hero-swapping gameplay that rewards for looking for alternative styles of play, breakneck pace and buckets of charm. While it’s going to be easy for the maps and maybe even the heroes to become old fast, Blizzard’s record of post-release support is nigh unparalleled; WoW has been running for 12 years, after all. This review is based on the PS4 version of Overwatch. The game is also available on Xbox One and PC. The writer is aware that Overwatch is not technically a MOBA but couldn’t resist the pun.